There's a specific Chicago train platform where Howard goes to connect with his past. That's where he meets Mike and, after first mistaking him for a panhandler, it's where Howard learns that this bearded transit stop vagrant is the same person who broke his heart four years ago. Only back then, Mike was a woman named Kate. Filled with questions, Howard becomes immediately desperate to rekindle romance where there was never more than friendship in the first place. It's awkward for a number of reasons, but primarily because he's theoretically cis/hetero and already married to Astrid, an unsatisfied artist with a "stripper name" and a history of dancing all her problems away. Howard's basically a nice, confused guy, who wants to make his fantasy crush work out for everybody without hurting anybody or making things weird for the people close to him. He does both of the things he doesn't want to do pretty quickly. How weird do things get in Back When Mike Was Kate, the latest Playhouse on the Square New Works@TheWorks winner to see production? Aprons and fuzzy handcuffs weird. In keeping with past POTS@TheWorks premieres, Back When Mike Was Kate showcases top-notch performances by a professional acting ensemble comprised, in this instance, of Joshua LaShomb (Mike), David Hammons (Howard), Brooke Papritz (Astrid), and Ronnie Karimnia as Cameron the transit guy. R. Franklin Koch plays Kate, the grounded "old soul" who ties the play together. 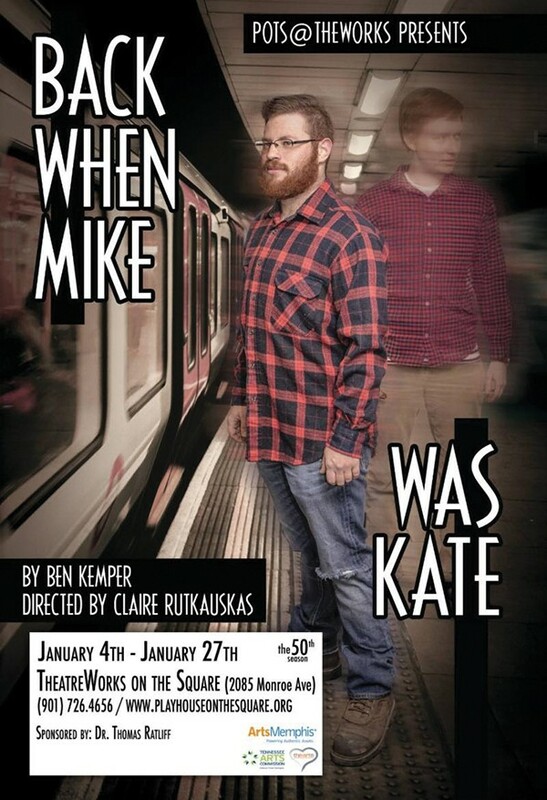 Back When Mike Was Kate is a world premiere which means local audiences get to be the first to check it out. They won't be the last.